That this Medical College Bhavnagar has one of the best faculties in the country is an acknowledged fact. It is this reason that Medical College Bhavnagar is chosen over others by the brightest of students. The students of Bhavnagar Medical College are its pride and its strength. I hope to be able to interact with both, the faculty as well as the students and will try to address any problem that they bring, to the best of my abilities. It will be my effort that all parts of this college may function together harmoniously. It is my hope and dream that we take this institution to unprecedented heights. Towards this aim, I seek your sincere support. Bhavnagar is not a very old city - it was founded in 1723 when the then ruler Bhavsinhji shifted his capital from Sihor (20 Kms. away) to Bhavnagar. The Gohil Dynasty itself is quite itself is quite old. They were in Sihor since 1570 and in Umrala/Ghogha and other places prior to that. It is said that their ancestors were from Marwar. After the death of Bhavsinhji, the state had many rulers. But the one who has possibly left the most lasting contribution is Maharaja Takhtasinhji (born January, 6 1858- died 29th January 1896). 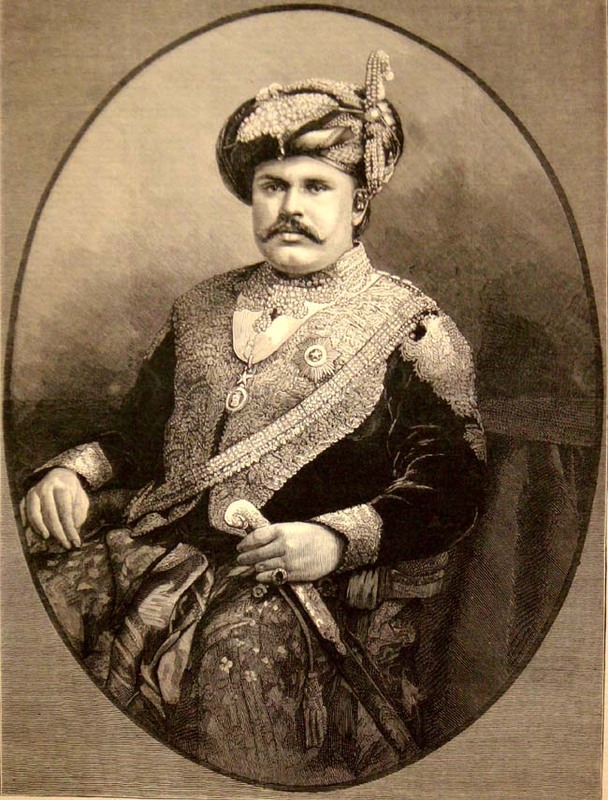 When his father Jaswantsinhji passed away in April 1870, he was only 12 years old. Hence the Britishers imposed a Joint Administration on the State. This Joint Administration of one British and one Indian Administrator continued from 1870 to 1878, i.e. till the time Takhtasinhji became 20 years old. The state was represented by its legendary Chief Minister Gaurishankar Udayshankar Oza (after whom the Gaurishankar Lake or Bor Talav" is named). The British Representatives in various periods were E.H. Perieval, Major Watson and Colonel Parr. The Political Agency at Rajkot set up in 1820 oversaw the affairs of princely states in Saurashtra. An idea of its importance can be gauged from the fact that in the entire country there were about 600 small and big kingdoms out of which 222 were in Saurashtra alone. 5th April 1878 is the date to be remembered in the history of Bhavnagar. On this day, the British Government's management of affairs of state, assumed during the minority of Maharaja Takhtasinhji came to an end. His Highness assumed the full sovereign powers of his state. Sir James B. Piele, the then Political Agent performed the installation ceremony amongst great splendor. The city of Bhavnagar was full of rejoicing on that day. Soon after assuming the full powers, Maharaja Takhtasinhji accorded sanction for 3 important works of public utility and usefulness. These were: (a) construction of railway from Bhavnagar to Wadhwan in the north and Dhoraji in the west with line from Dhasa to Dhoraji funded by Gondal State (b) The Takhtasinhji wing of Rajkumar College at Rajkot and (c) The Takhtasinhji Hospital at Bhavnagar. Address Gaurishankar Lake Road, Bhavnagar. Gaurishankar Lake Road, Bhavnagar. Gaurishankar Lake Road, Bhavnagar. SUBJECT : SECURED HIGHEST MARKS IN MBBS WITH OBST. & GYNEC.